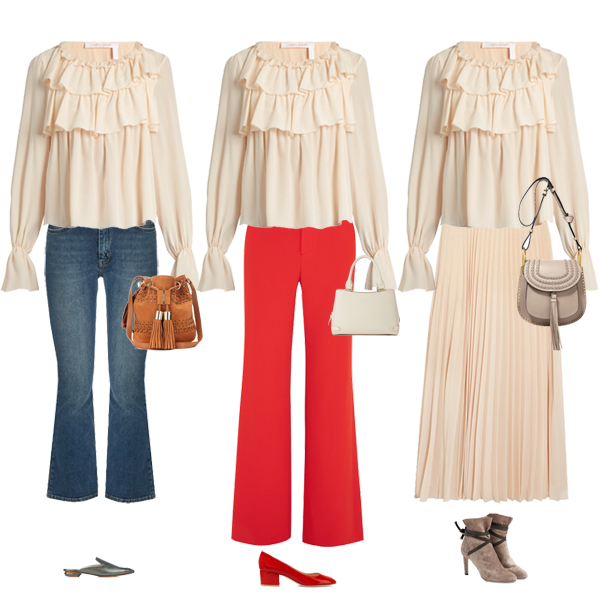 One of this season’s big trends is for frills, ruffles and statement sleeves. If you aren’t a frilly girl though, you can still wear this must have trend by adapting it to suit you. By the time trends filter down into the High Street they tend to become much more wearable. And of course, if they are likely to be just a one season trend it makes sense to spend less on them. I love this new Boho inspired trend which Chloe and it’s diffusion range See by Chloe do so well. So much in fact I have added a blouse to my capsule wardrobe this season. I will wear mine with denim and possibly later with a maxi skirt. Here is the outfit that inspired me and my blouse. 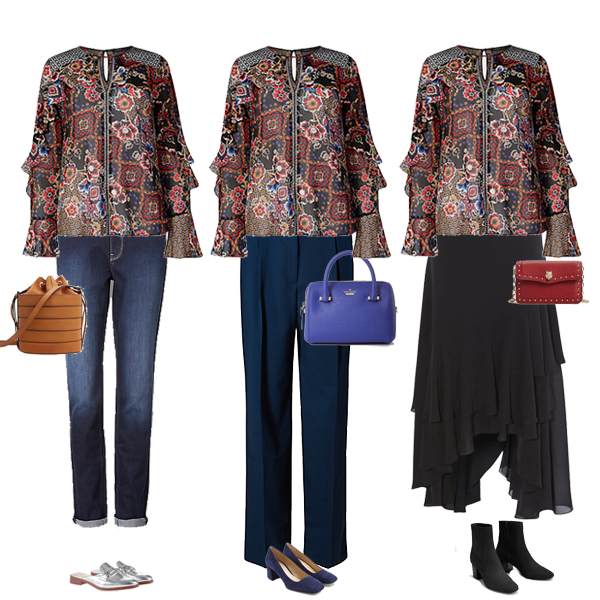 I have put together 2 sets of 3 looks using a Boho style blouse. One at designer level which is more high fashion and one at High Street level which is a safer version if you just want to introduce a touch of the trend. For the designer version I have included other trend pieces like backless loafers, wide leg trousers, red (you need something red in your wardrobe this season) suede tied boots and hassled bags. For the High Street version I have still incorporated the backless loafers and wide leg trousers, but used more subtle colours. You could wear the skirt outfit with a pair of sandals in the Spring instead of the boots. On the High Street look at good old M&S for blouses with frills, ruffles and statement sleeves. 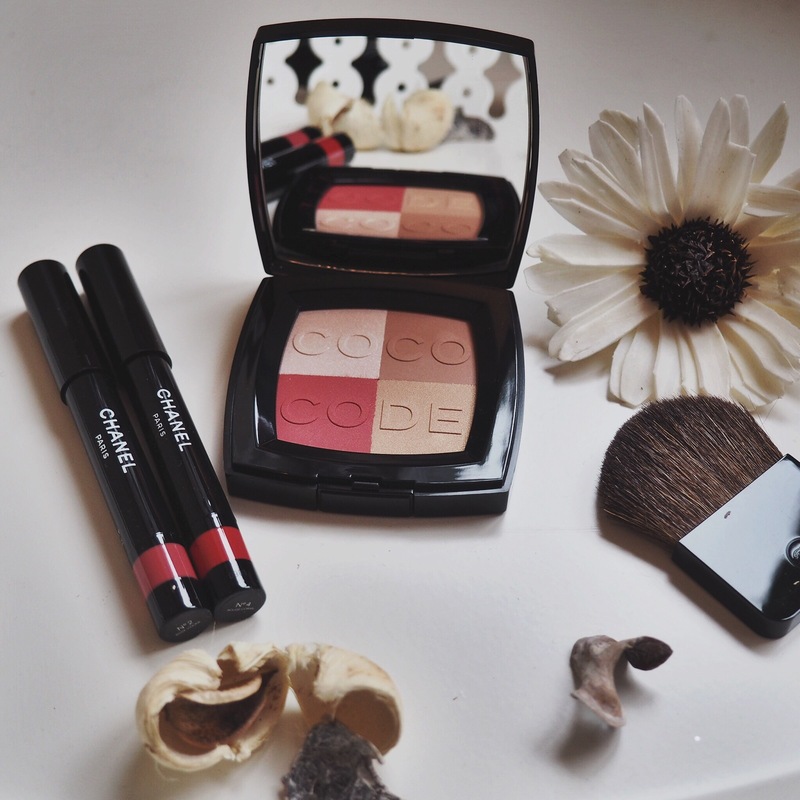 They have a brilliant collection at a reasonable price so you can buy into the trend without breaking the bank. For bags look at Mango where there are plenty of styles to choose from. What do you think of the trend? Will you be trying it? My favourite piece is the black skirt by Coast. There are some lovely frilled sweatshirt tops about which I really like. Re. the cropped (?) kick flare jeans – which bodyshape would you recommend them for? They are very cute as are the silver backless loafers. Thank you for your great blog, I always enjoy it.